We’ve been in existence for 11 years. We have various academic and basketball programs that train student athletes to be competitive both in the class & on the basketball court. We have a wellness program that allows the student athlete’s direct access to a sports psychologist. We teach the importance of nutrition, physical and mental wellness. We engage our youth in social awareness campaigns. We have an annual service day where our student athletes and their families create lunches and hand them out to people in need. We took two vans of our student athletes, parents, warm outer wear, and presents to the victims of Hurricane Katrina last Christmas. Student Athletes Rising (STARS) is a non-profit youth development organization offering guidance and training for America’s youth, ages 7-19, preparing them for enriching college experiences and productive lives as future leaders of their communities. The STARS Scholastic Basketball League (SSBL) is a fun-filled winter enrichment program and basketball league offered in the inner city of Boston. This program aims to sharpen our student athletes’ skills on the court and in the classroom. STARS specializes in test taking preparation and ensuring our student athletes have a better chance at success academically. We mold student athletes into community leaders through the healthy academic and athletic competition this program offers. Enrollment is open to boys & girls grades 3-8. STARS needs financial support to operate this program because we are operating out of the inner city where most of the parents cannot afford to pay what our services are worth. We charge a nominal registration fee to help towards operating costs and we raise funds to cover the balance. We provide a fun experience for every student-athlete regardless of prior experience or skill level. Emphasis is placed on promoting the concepts of team unity, instruction, fitness, skill development, and most importantly, the wisdom to implement the knowledge learned on and off the court. 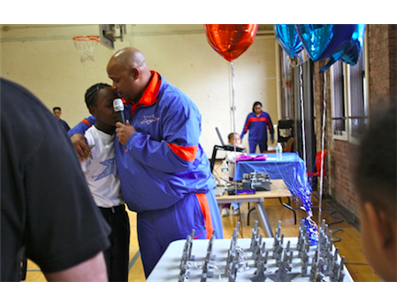 The STARS program fosters both the physical and social strengths of individual players in a positive, high-energy environment led by former professional basketball players with decades of professional experience. STARS has developed a unique competitive test prep curriculum with the help of Dr. Michael Youmans, Ph.D., a graduate of Harvard University; Lincoln College, Oxford University; and the Boston College School of Education. Dr. Youmans provides our student-athletes with the same cutting-edge test prep methods utilized by CollegePrepExpress, LLC, and Dr. Youmans’ successful private tutoring company. In our STARS Scholastic Basketball League (SSBL), the same teams that compete on the basketball court also duke it out in the classroom. STARS curriculum is centered around providing our student-athletes with the wherewithal needed to succeed on college and private school entrance exams in addition to the MCAS. STARS 2011/12 program participants took an entrance and an exit exam modeled after SAT, ISEE, SSAT, and MCAS frameworks. In our first year of tracking student achievement, 87% of our student-athletes who took both an entrance and an exit exam improved their exam scores! STARS has many student athletes who we would consider success stories. One in particular is Jamari Venter. Jamari is a student athlete who was with STARS from the onset. He was accepted into Rivers school as an 8th grader where he maintains an A/B GPA. Jamari has played varsity football since the 8th grade, and just received Honorable Mention in the ISL Football League as a Freshman. Jamari is also a member of Rivers’ Basketball team. He is considered to be one of the top point guards in Massachusetts. I have been a board member of Student Athletes Rising for three years. During which time I have witnessed some truly wonderful things; children competing on the court and then supporting each other in the classroom during the same morning; coaches and children traveling 200 miles in a bus to deliver presents and food to those less fortunate; and a group of children becoming one team over the course of one short season to name a few. Jeff Venter, Antoine Hyman and their team of coaches, instructors and administrators are doing great things, and I feel fortunate to be part of their team. STARS has a community service initiative coming up in December. We are partnering with the Elisha Project in December where we will be collecting gently used warm outerwear, shoe boxes, travel size toiletries, small brand-new trinkets/$5 gift cards to coffee shops. STARS will announce on our website the collection dates/sites, preparation dates/sites. The community service date is Saturday, December 21, 2013. 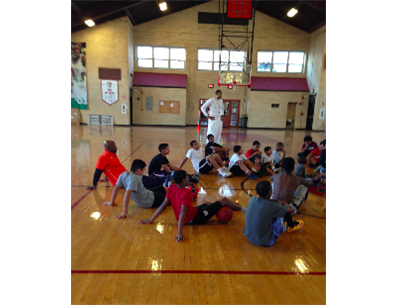 We offer competitive learning in a team environment both on and off of the basketball court. Going live on Facebook in 15 minutes to talk about the state of AAU! Going live tomorrow at 10:30 to talk about AAU and the direction it is headed! How does USA basketball come into play with all of this?